All Out for Graduate Student Workers United! Wednesday, March 31st 12PM West Bank outside of Social Sciences Bldg. 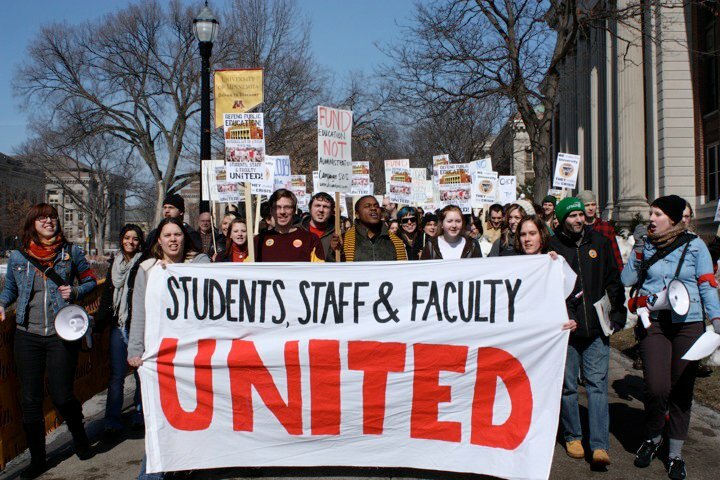 Join Grad Student Workers United as we march for a $200 reduction in grad student fees. With approximately 1,000 grad students living on $13,000 per year, school-year fees of more than $1,000 amount to an almost 10% cut in wages. Many of these people love teaching and researching, but they shouldn’t have to pay exorbitant backdoor tuition just for the privilege of doing their job. Come out and support a future with fewer fees! On Thursday, March 11th the Regents’ Faculty, Staff, and Student Affairs committee will be meeting, and we want to be there! Join us at 9:45 to go into the meeting and be a visible presence. At 12pm we will picket outside of McNamara Alumni Center, where they will be meeting. 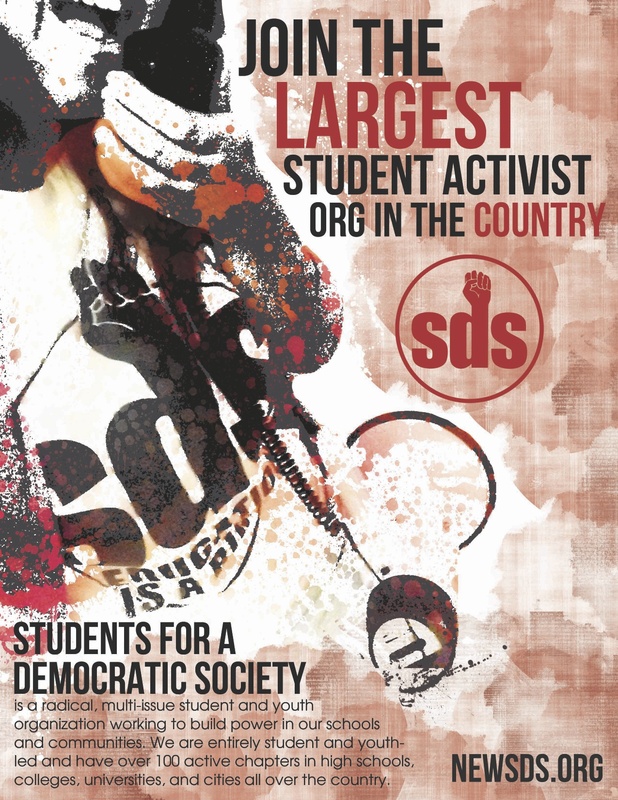 Keep the pressure on to demand MORE education and LESS administration! We demand cutting 6-digit salaries before raising tuition and fees, laying off needed faculty and staff, and forcing furloughs onto workers. Make the university work for us! March 4th, National Day of Action to Defend Education!